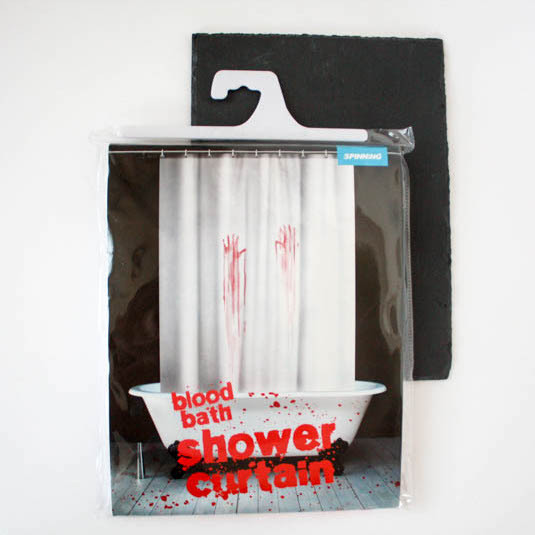 The blood bath Shower Curtain is a truly terrifying accessory for your bathroom – when the shower curtain is scrunched closed, it looks like a pleasant, safe and normal shower curtain. 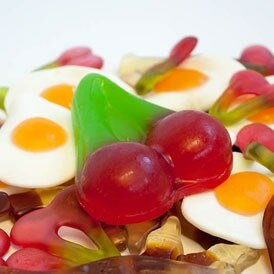 But upon opening, what should confront you but the scene of a horror movie massacre, a blood bath! 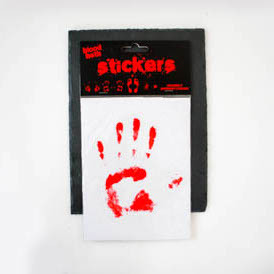 Great for all you movie fanatics and slasher horror film freaks who love nothing more than a quiet night in with 10 litres of red corn syrup. All you Hitchcock fans can act the part in the movies from the warmth and comfort of your steaming shower. 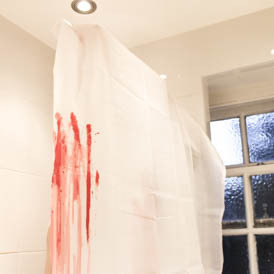 Why not stitch up your guests and see if they dare pull back the curtain to check that their worst nightmare is not lurking in the shadowy recesses of your bath.